Jade Rawlings was the 94th selection in the 1994 draft, joining Hawthorn where he developed into a very capable key position defender and occasional forward. He racked up 116 games for the Hawks before moving to the Western Bulldogs who required a tall forward. 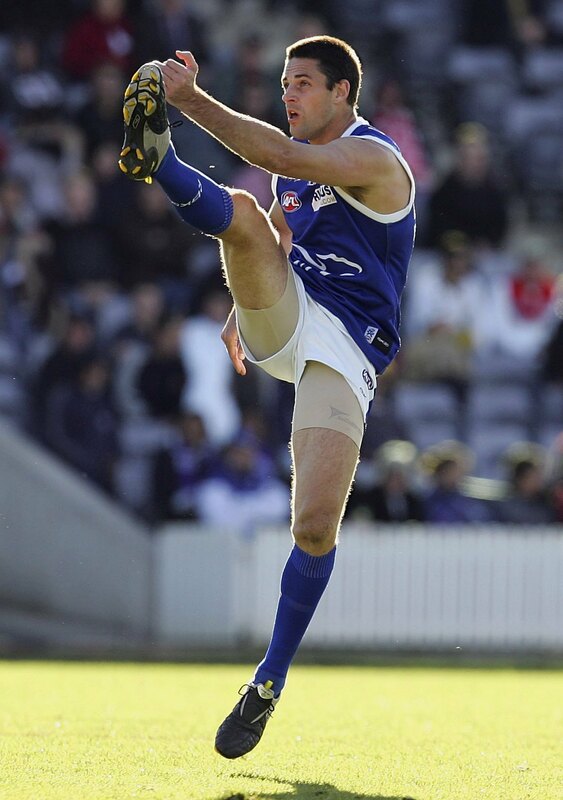 On debut with the Bulldogs Rawlings booted seven goals and went on to lead the Club’s goalkicking for 2004, although he was not a natural forward. In 2006 Rawlings joined North Melbourne alongside his younger brother, Brady, finishing his career with an emotional farewell when the Kangaroos played Hawthorn in Tasmania late that season. Following his playing days, Rawlings embarked on a coaching career with Richmond. When Tigers Head Coach Terry Wallace resigned mid-2009, Rawlings went from assistant to head coach of the Tigers for 11 games. The Tigers won three games under his direction but he was not successful in retaining the position. Rawlings has continued his coaching career as an assistant at Brisbane and Melbourne.